Swings and roundabouts: Stoptober.... what it means to me. Stoptober.... what it means to me. I haven't blogged in a while, mainly due to being horrendously busy at work and trying to decorate our flat at the same time. This month is going to be a bit of a tough one- in addition to our usual monthly bills the service charge and water bill have also come out of our joint account- leaving £24 left to pay our TV provider, meaning we will no doubt be in our interest free overdraft by the end of the month if we use it to pay for food. We have also had to buy a new washing machine due to the one here being ancient and washing is taking about a week to dry leaving the flat resembling a sauna! 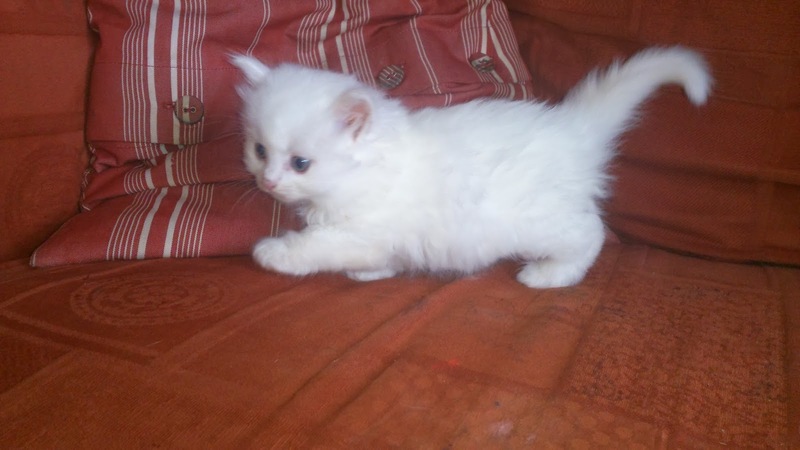 Furthermore, I have also bought a new pedigree crossbreed kitten who is due to arrive on the 16th Oct- she's a little white bundle of cuteness! However, because of these factors the food budget is being reigned in even further. In an attempt to put off going food shopping I cobbled together enough ingredients to make this delicious chunky winter soup in my slow cooker- inspired by Frugal Queen's post a few days ago. Otherwise I know I would have ended up grabbing something from one of the overpriced cafe chains in London, which everyone knows don't come cheap. This one dish has made four portions of soup- ideal for an Autumn lunch. Put all of the above into a slow cooker and put on high for approx 4.5 hours, then blend. By the time I got home one eve this week I was pretty hungry and with not much food indoors I was very tempted to head for Nandos- especially as I have to walk past it on my way home. However, thankfully the BF suggested just going food shopping instead so we picked up a cooked rotisserie chicken for £5.50 (made four dinners for us) some spicy Nandos sauce (which I thought was kind of expensive- but not compared to eating out) and some frozen fries and salad- coming in at a fraction of the cost of eating out. We will be eating up our stores of food (I have lots of pasta/rice/noodles) and trying hard not to waste any food. I have also been checking out the cash back websites and considering whether I can sell some of my photos to stock websites.